In the summer of 2015 I strolled down 11th Avenue in Hell’s Kitchen, checking off the boxes: Landmark Tavern on West 46th, still there; Mike Quill Bus depot on West 41st, still there; Market Diner: still there in the summer, but closed in the fall and now demolished; Daily Show studios, between West 51st and 52nd. A tire repair shop caught my eye and then, the camera, across the street from the former Stewart studio. 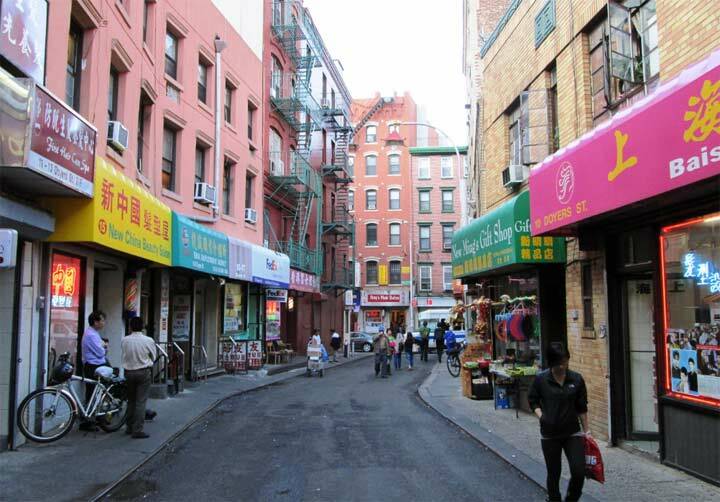 It was painted light yellow and occupied a three-story building between the usual tenement walkup buildings with stores on the ground floor. I never thought further of it until this week, but it seems to have become a hybrid tire repair shop and off-Broadway theater. In May 2017 Rooms, a play by irish writer Enda Walsh, no relation to me that I know of, opened in the upstairs rooms at what we’ll have to intermediately call the Cybert Theater. 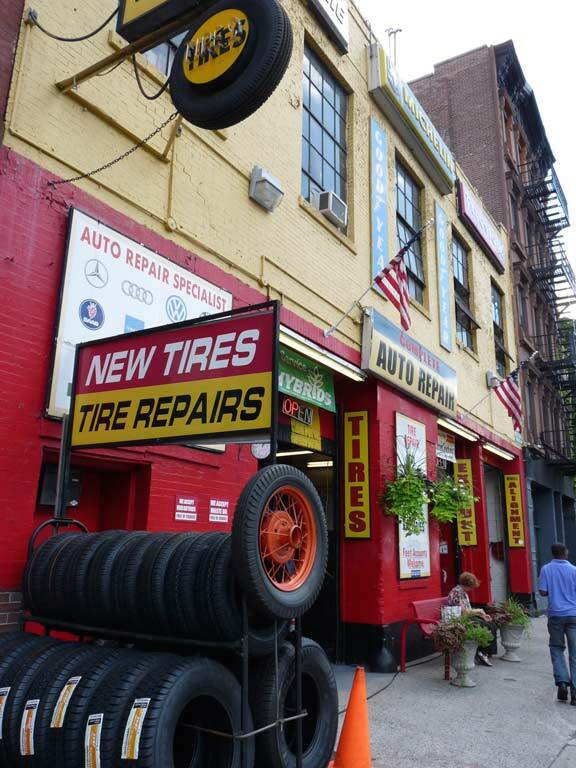 Though the tire shop claims to be the oldest of its type still open in Hell’s Kitchen, occupying the building since 1916, the Irish Arts Center, presently located at 553 West 51st Street, has purchased the property and will eventually be constructing a new facility where Cybert presently stands, with the tire shop moving around the corner. Though plans have been in place since 2014, the transformation seems more imminent now that the play is being staged upstairs. The basic garage building will be retained, but three stories will be added. Nice neon “Tire” sign there! Hope they bring it with them when they move. I always find it interesting to see such a thing like this in Manhattan even though it’s the least autocentric of the boroughs, though I guess this place will be useful for the taxis and other car services that are here not to mention the emergency vehicles and buses.